Did you find that last article on social comparisons and leader boards interesting? Really? Weird. Well, If you want to read more about social comparison, competition, and video games, you can do so in this month’s Edge Magazine, issue #243. It contains the last of my series of “Psychology of…” articles for them, The Psychology of High Scores. The second big thing game designers can do to make you feel more pleased with yourself and your performance is to make you feel like a big fish in a small pond. This is because people who are ranked near the top of a remedial group actually feel better about themselves than those ranked near the bottom of a higher performing group, even though the latter may be performing better than the former in absolute terms. Sometimes all it takes to make you feel like the smartest person in the room is to step into a closet full of dullards. In fact, this so-called “big-fish-little-pond Effect” has been studied extensively in other areas, especially education where it has been found to be true in schools of all levels across 40 different countries. But it goes beyond that, because simply looking at your performance in the context of a smaller group tends to override any comparisons you may make with the world at large. For example, Ethan Zell and his colleagues Mark Alicke and Dorian Bloom at the University of Ohio split groups of 10 college students into two five-person teams and had them try to identify who was lying in a series of video taped statements. The researchers then provided each student with bogus feedback about their performance on this task (psychologists do this kind of thing all the time; in other contexts it would be called “lying” but here it’s known as “scientific research”) that indicated that they were ranked fifth or sixth out of the 10 people in the room. Some students, however, were given the additional information that they were either the best or worst performing member on their team of five. The researchers found that even if they were on the team that supposedly did best on the task overall, people had lower self-esteem than those who were the top performing on the losing team –even if they did better. 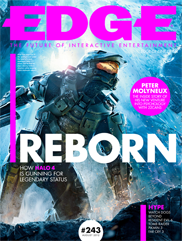 Big thanks to the folks at Edge Magazine for giving me the opportunity to write this series of articles. They were much more challenging and time consuming to write than these little blog posts, but also more rewarding and interesting. I hope to do more of these kinds of works in the future. Will you still be writing on this site? I’m interested to hear your thought on game casters, and youtube gamers and their effect on the gaming industry and individual gamers. Oh yeah, I’ll still be writing here and for PsychologyToday.com. This was actually the LAST of my 6-part series for Edge.